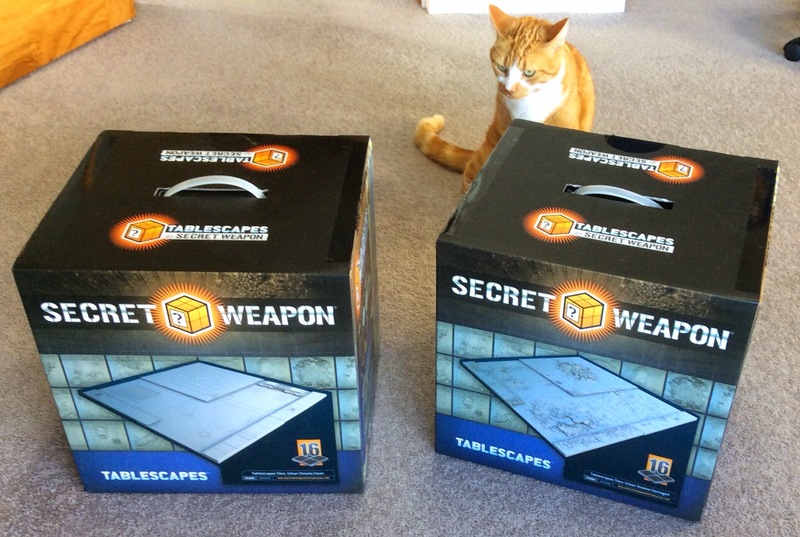 So a year after its original delivery date , Secret Weapons Miniatures' Tablescapes have finally arrived. I arrived home from work last evening and parcelled up were these two boxes. Each contains sixteen tiles 1' x 1'. 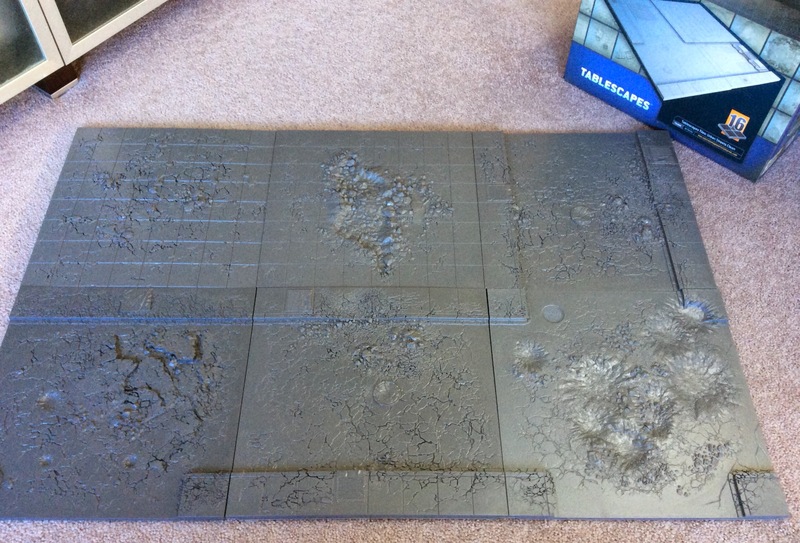 I had backed the two Urban Streets set and so have a box of 16 Damaged tiles and 16 Clean tiles. 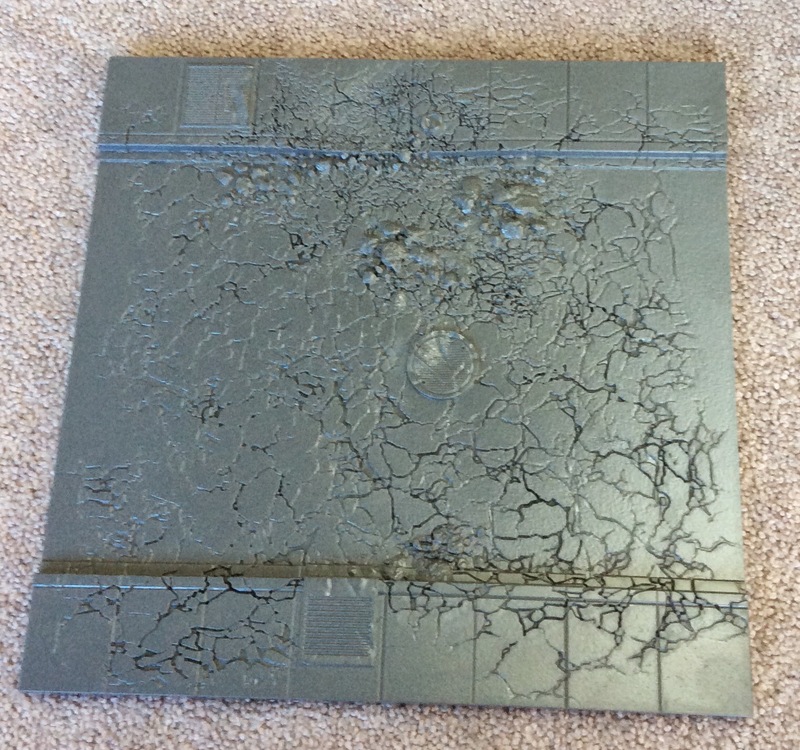 This is one of the damaged plaza tiles and you can see the nice crisp detail that has been captured. This tile shows the elevated sidewalks. There is nice attention to detail with grates and manhole covers moulded into the tile. Here are four of the damaged tiles together. They can be connected using a set of connector widgets that comes with them. Just to continue the illustration, here are six tiles showing the construction of intersecting road. They are again just pushed together rather than connected. The detail is very crisp and I can see them painting up extremely well. I am looking forward to see the video tutorials that SWM is promising. So while it is a year late, I am very happy with the delivered product. 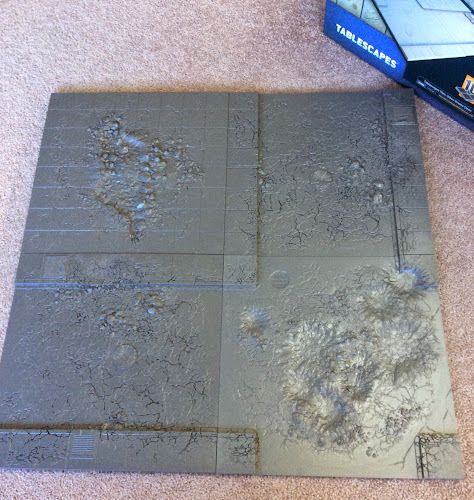 I can't wait to put together a 40k table using the tiles. Getting a mix of damaged and clean tiles means I can customise to my heart's content. 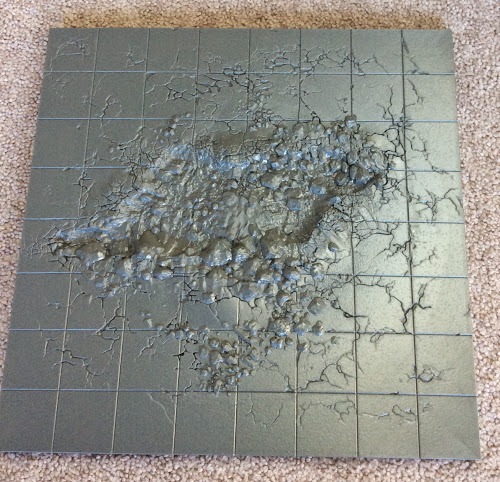 The tiles are due to be released to the public once the Kickstarter pledges are filled. Check back after Xmas when I'll hopefully have them painted. They look a bit more portable than the GW table... would that be right? Also... you need to get them painted for the Masters :) - what's this Xmas nonsense! Pete, did they come with the plastic stand off's to hold them apart during transportation? I thought I read somewhere that they weren't yet ready for shipping? No the transportation spacers weren't produced. Please remember all comments on the blog should have a name identifying the commentator. It makes conversation much easier.